Single forum for the latest research, news, education, and training in multi-modality cardiovascular imaging. Make it your friend in daily practice! Cardiovascular Imaging Forums, join the discussions. 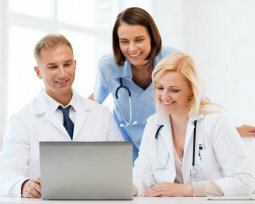 Ask your questions from the experts & CV imaging community! A long term follow-up study in young adults demonstrate increased plaque formation in the coronary arteries and thickening of carotid IMT in those with healthier lifestyle. This is an excellent attempt to bring down the radiation dose with CCTA even further. A normal cardiac MRI scan in patients with clinical suspected myocarditis was found to have a good prognosis. Latest perfusion techniques with 3T MRI scanner allows complete coverage of with absolute quantification of myocardial blood flow. Very high calcium score of >1000 in asymptomatic patients were found to be associated with >8 fold greater mortality compared with those with absent score over a mean follow-up period of 5.6 years. New practice guidelines released this month (March 2014) includes restructured definitions of disease severity, and provides a more complex evaluation of interventional risk and indications for newer catheter-based therapies. In this prospective study, led by Prof Newby of University of Edinburgh, evaluated the use of 18F-NaF and 18F-FDG tracers in identification of ruptured and high-risk atherosclerotic plaques using PET-CT. If you perform cardiac CT, what is your preferred method for beta-blocking?